Watermelons; photo by Ahmad on Flickr (noncommercial use permitted with attribution). Rush Springs has been home to a citrullus lanatus festival since 1948; held each year on the second Saturday of August (the area is known for delicious watermelons grown in the sandy soil that encircles Rush Springs). The communities of Ringwood and Valliant also have annual watermelon festivals. 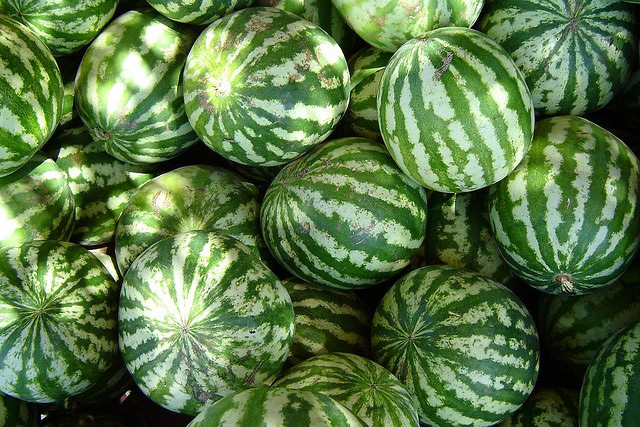 Although there is discussion over whether watermelon is a fruit or a vegetable, Senator Don Barrington (who sponsored the bill) said watermelon comes from the cucumber and gourd families, which are classified as vegetables. Oklahoma also recognizes a state fruit (strawberry). 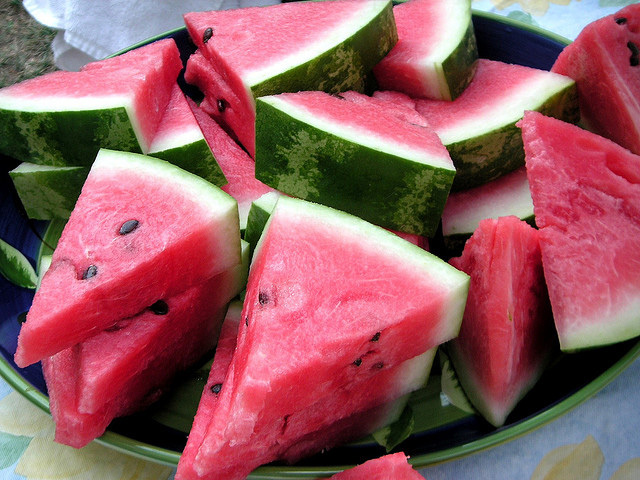 Watermelon slices; photo by Sandía on Flickr (noncommercial use permitted with attribution). 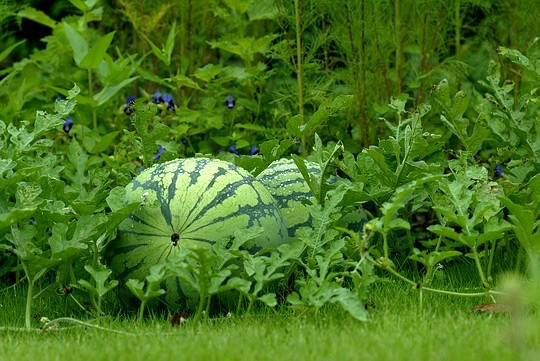 Watermelon in field; photo by Kumon on Flickr (use permitted with attribution). 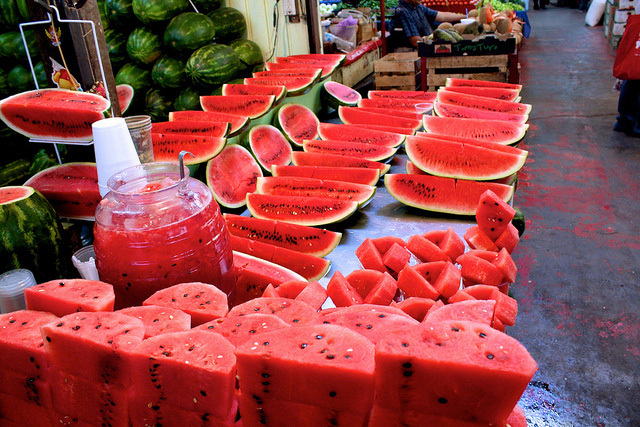 Watermelons in market; photo by Mark Carter on Flickr (noncommercial use permitted with attribution).